(During a discussion with some artists friends, we wondered what a good ‘collective noun’ might be for a group of artists, and ‘a scumble’ won)! 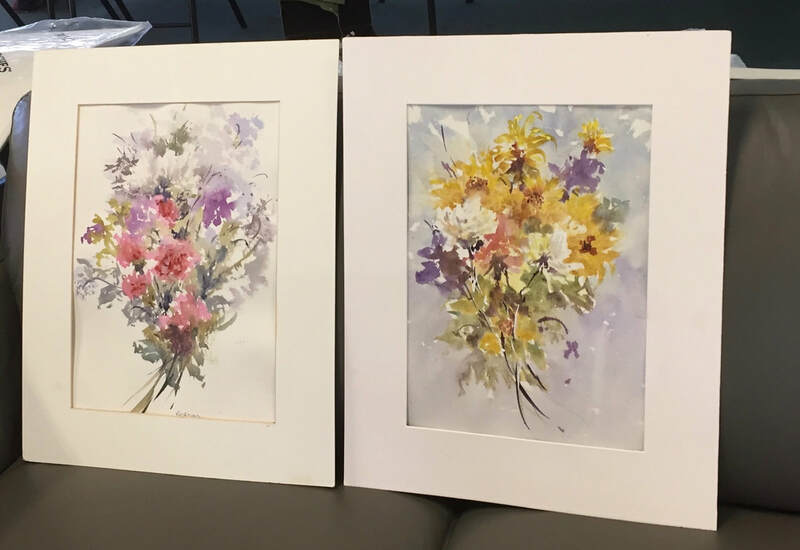 A Scumble of Artists from Seymour & District Art Society met over the past weekend for a two day workshop in Impressionism. Our tutor was well known Victorian artist, Ben Winspear. All participants were impressed with Ben’s well prepared lesson plan and his knowledge of the genre. 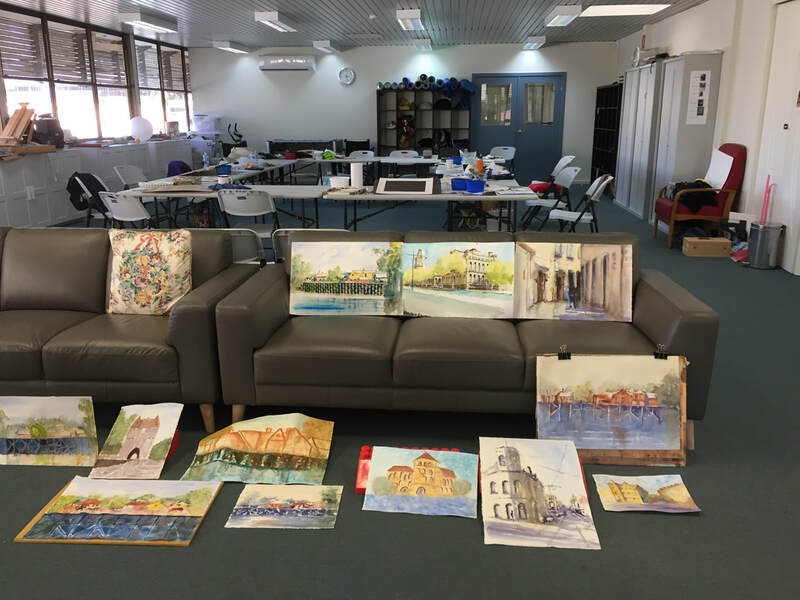 Day 1 was the theory session held at the Old Courthouse Gallery, and Day 2 was a day of plein air painting to put the theory into practice at Goulburn Park, Seymour. Here are a few photos. Winners of the society annual awards were presented today at an afternoon tea and Christmas celebration. 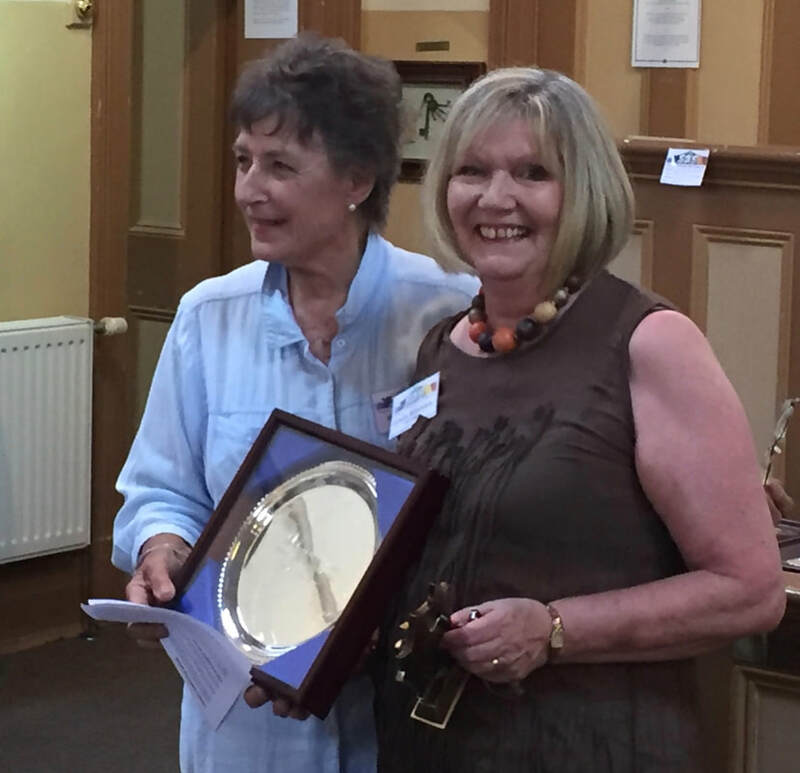 The Artist of the Year for 2018 went to Lynda Robinson. 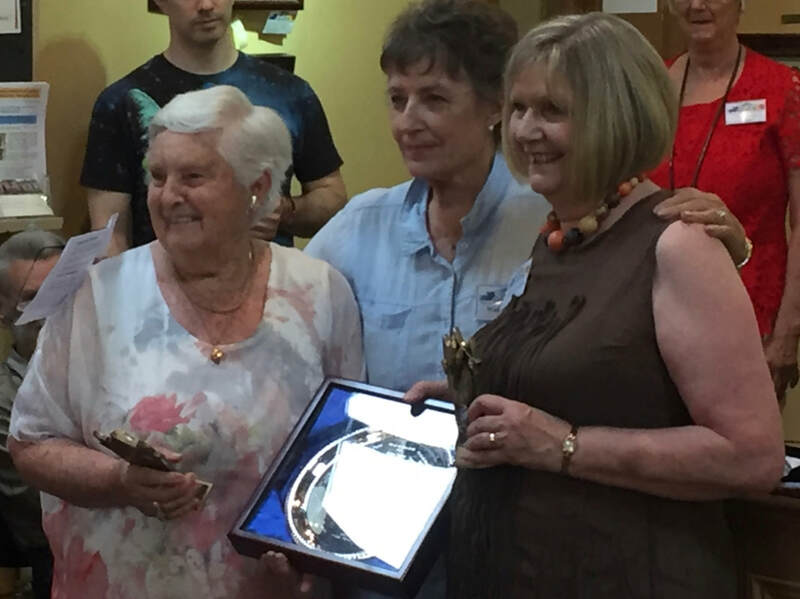 The Hanging Committee Award was shared between Valma Crerar and Lynda Robinson. 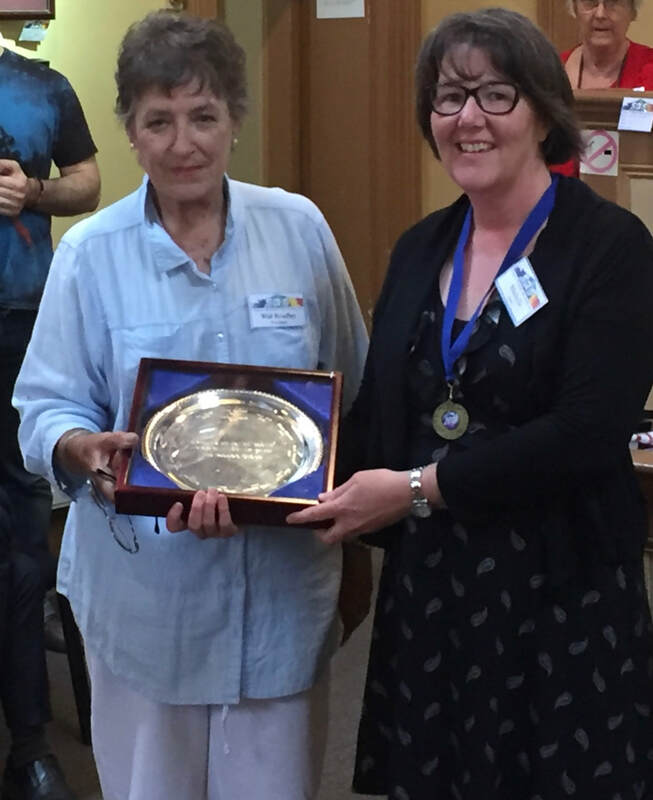 The People's Choice Award went to Michelle Slater for her beautiful Bluebird Rising. The above date is for our afternoon tea Christmas celebration and Annual Award presentation of the Seymour and District Art Society. Please come along. We welcome you all and would love to see and meet new people. ​The latest gallery hanging, The Annual Exhibition, has now on display in the Old Courthouse Gallery. It is our largest display for quite a while with 65 paintings to look at. All works are available to purchase through the Information Centre volunteers and there is so much variety of styles and mediums as well as prices, we are all sure customers will be very happy. This exhibition will run-through until early March. The small Charles August Gallery still is full of Small Treasures paintings and is available until the end of this year. So altogether our gallery holds an incredible amount of lovely art work. The winner of the best painting in the Annual Exhibition, as voted on by the hanging committee and other Art Society members and Friends of the Gallery is Terri MacDonald for her beautiful painting The Rooster.